Founded by CEO Matt Demaree, HTDNET offers whole office solutions – from computers and networks to phone systems. The firm provides their expertise and support to a wide range of businesses, from companies just starting up to established businesses interested in upping their technological game. If you’re like many Managed Service Providers, you have a go-to brand for your wireless network needs – one you use time and time again on the majority of your deployments. What happens when that company’s product lets you down by repeatedly failing? You get frustrated, and so do your clients. No one wants their customers to ask, “Why does this hardware always break?” Unfortunately, that’s what was happening to HTDNET. Devices from two different commonly used brands failed annually, and invariably these breakdowns occurred at the least convenient time – for everyone. And while each client’s needs are important, some of HTDNET’s clients, like the Remington Volunteer Fire and Rescue Department, have zero margin for equipment failure. People’s lives literally depend on a pairing of effective emergency personnel and equipment. Matt Demaree, CEO of HTDNET, was determined to find a product that both he and his customers could trust. That search led him to EnGenius. HTDNET opted to deploy the EnTurbo Series, including the EAP1300 Access Point, which is a ceiling-mount device with turbocharged quad-core processors. The EAP1300 delivers next generation, business-class Wi-Fi at exceptional pricing, making it an excellent fit for businesses who want to future-proof their networks affordably. 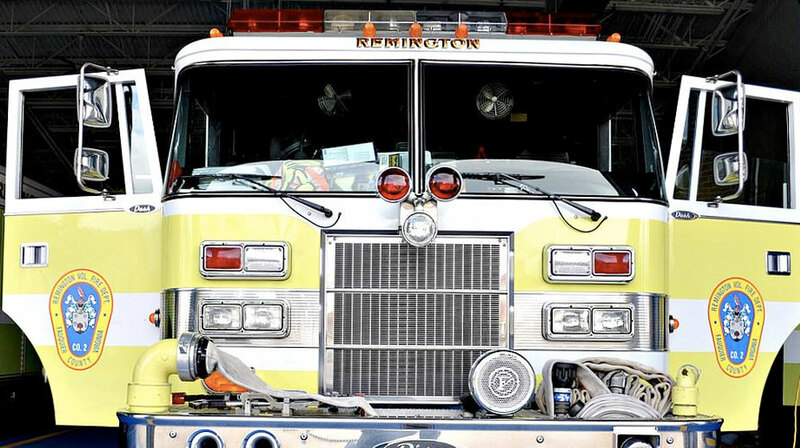 HTDNET’s clients in rural Virginia, including the Remington Fire Station, greatly benefit from the EnTurbo’s overall performance and client capacity. Fluctuating client density can cause performance problems as users join and leave the Wi-Fi network, but it’s easily managed by the EnGenius EnTurbo Series. In addition to providing reliable Wi-Fi for the emergency staff, HTDNET helped revamped the networks so that visitors to the fire station could also access Wi-Fi via a universal password. Because the fire stations regularly host community-based functions like pancake breakfasts or dinner events, their networks might host anywhere from ten staff members to hundreds of visitors on a given day. Scrapping the existing devices and installing EnGenius products has made a huge difference at the Remington Fire Station. “Before HTDNET installed our EnGenius Wi-Fi access points, we had about ten different devices placed throughout the station, and only portions of the building had coverage. We now have three EnGenius devices … and have 100% coverage throughout the station, reaching average speeds upwards of 400 Mbps. During events, hundreds of guests are invited to use the public wireless connection,” said Bobby Hitt, Vice President of the Remington Volunteer Fire and Rescue Department. HTDNET is very satisfied with EnGenius products, and they use “all the EnGenius products as often as we can.” EnGenius devices meet their need for reliability at an affordable price, and the improved efficiency of EnGenius products affects their bottom line in many ways. Let the EnTurbo Series turbocharge your network’s performance, reliability, and efficiency. Learn more about EnTurbo today!